Lisa L. Buzaid is a partner in the law firm of Cramer & Anderson LLP and maintains an office in New Milford and Danbury, Connecticut. Ms. Buzaid practices in the areas of commercial and residential real estate, land use law and commercial litigation. Ms. Buzaid has over 25 years’ experience representing residential and commercial owners of real estate in all areas related to the acquisition, sale, development and financing of real estate. She also has significant experience in commercial litigation involving real estate contracts, leasehold interests and foreclosure matters. Ms. Buzaid was admitted to practice in Connecticut and the U.S. District Court, District of Connecticut in 1988. 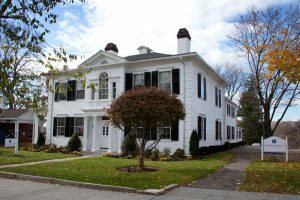 She is a member of the Danbury, Connecticut and Connecticut Bar Associations. Ms Buzaid served as General Counsel to the Greater New Milford Board of Realtors from 2001-2014.